To schedule an alarm, just provide a message to display, the time and the ringtone to play. You can also use any song from your iTunes library as a ringtone. Simple and clean interface so that you can focus on what matters. See all your scheduled alarms at a glance. 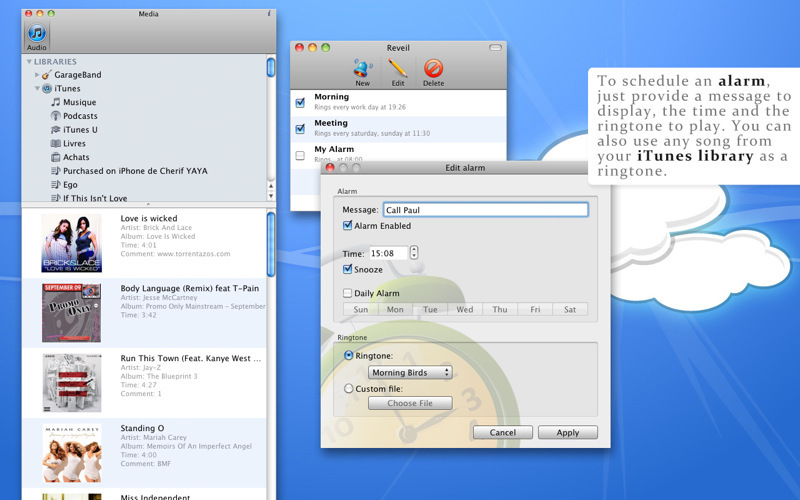 Enable and disable alarms with a single click. 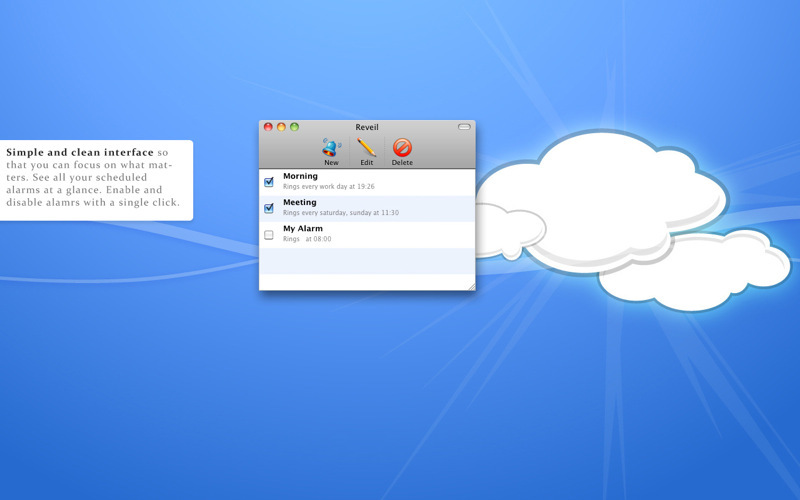 When your alarms rings, you'll be notified with a nice on-screen overlay. 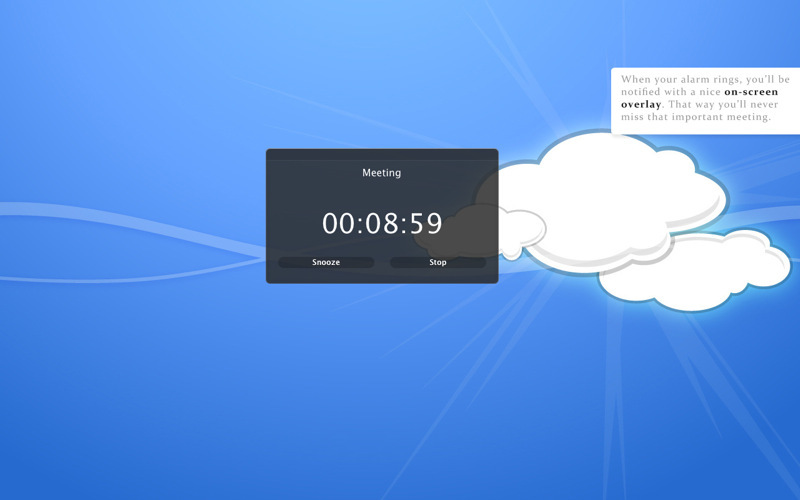 That way you'll never miss that important meeting.